Paul Baloche has written songs for Don Moen, Ron Kenoly and Lindell Cooley, and has now put together an album of his classic songs as well as new material. Born out of worship and prayer, these songs will help people to rejoice in the presence of God. 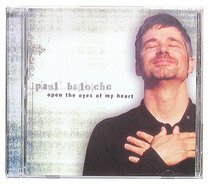 About "Open the Eyes of My Heart"
Baloche is a Christian songwriter and recording artist.